EHR vendor's shoddy software causes false claims - and a $155 million fine. Data drives healthcare today and helps Part B providers improve the delivery of care. For honest clinicians, the captured data that health IT harnesses can be a valuable asset and promote quality, coordinated care. However fraudsters looking to make a buck off Medicare may find that their digital footprints lead the OIG right to their doorsteps. "By leveraging advanced analytic techniques to detect potential vulnerabilities and fraud trends," says Inspector General Daniel R. Levinson in the Office of Inspector General's (OIG) latest report on why the agency aggressively pursues offenders, "We are better able to target our resources at those areas and individuals most in need of oversight, leaving others free to provide care and services without unnecessary disruption." In its Semiannual Report to Congress, released on Nov. 29, the OIG reported that during FY 2017, the agency recorded a plethora of crimes and civil suits, exclusions, and recoveries. Recovered funds: The OIG recouped $4.13 billion in investigative recoveries. Criminal actions: The federal watchdog found 881 individuals or entities guilty of crimes against HHS programs. Civil actions: Civil suits were brought against 826 individuals or entities for fraudulent activities. Exclusions: The OIG also banned 3,244 individuals and entities from partici­pating in federal healthcare programs in the future. 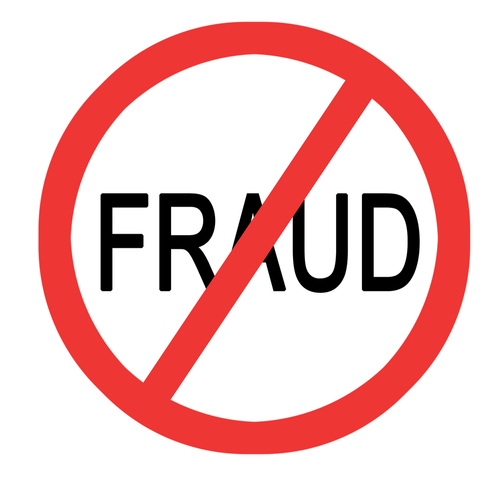 The interagency efforts of the Medicare Fraud Strike Force brought about what is being touted by the OIG as the "National Health Care Fraud Takedown," which took place last July and utilized Medicare and Medicaid providers data to uncover illegal activity. The largest healthcare enforcement action in history levied "charges against more than 400 defendants in 41 federal districts related to schemes involving about $1.3 billion in false billings to Medicare and Medicaid," notes the OIG in report. Amongst the individuals charged, 120 - 27 of whom were physicians - were caught "prescribing and distributing opioids and other dangerous narcotic and 295 individuals were served with exclusion notices for conduct related to opioid diversion and abuse," according to the OIG. Home health: In August, OIG sentenced Dallas physician and Medistat Group Associates owner, Dr. Jacques Roy, to 35 years in prison for medically unnecessary home health certifications for over 11,000 patients from more than 500 home health agencies, the report suggests. "Five additional defendants involved in the scheme were previously sentenced to a combined 41 years and 6 months and ordered to pay joint and several portions of the $268.1 million restitution," the OIG notes. EHR vendor certifications: Nefarious EHR vendors and the Medicare providers who do business with them be warned, the Semiannual Report suggests. Software vendor, eClinicalWorks, LLC, was required to "pay $155 million for allegedly causing healthcare providers to submit false claims" after it was discovered that its products did not comply with the EHR Incentive Program, commonly referred to as Meaningful Use, OIG indicates in the report. OIG also mandated that the company enter into a 5-year Corporate Integrity Agreement (CIA) for its fraudulent actions. The OIG uncovered "questionable prescribing" by 401 Medicare Part D prescribers and are now taking "appropriate actions" against them, the agency notes in the report. One Pennsylvania physician, Dr. Jeffrey Bado, fell under the OIG's scrutiny for prescription-drug offenses. Sentenced to serve 25 years in prison, he was "convicted of 307 felony counts, including maintaining a drug-involved premises, drug distribution resulting in a death, healthcare fraud, and making false statements to federal agents," OIG says. Three defendants were found guilty of a prescription-drug scheme coordinated through the healthcare provider Compassionate Doctors, PC. The perpetrators - "owner Sardar Ashrafkhan, Dr. Adelfo Pamatmat, and pharmacist Nadeem Iqbal - were sentenced to a combined 46 years and 4 months in prison and ordered to pay $10.7 million in restitution," reveals the Semiannual Report. Resource: To review the OIG's Semiannual Report to Congress in its entireity, visit https://oig.hhs.gov/reports-and-publications/archives/semiannual/2017/sar-fall-2017.pdf.